A life-changing piece of technology for those with hearing impediments has been launched on the Isle of Man. Telecommunications company Manx Telecom have made a global first with a new product – called MT clearSound – for people with varying degrees of hearing loss. The earpiece uses innovative mobile technology specially designed software to create a personal profile tailored to an individual’s hearing ability, whether or not they have medically diagnosed hearing loss. It fine tunes speech in all incoming and outgoing calls on the Manx Telecom mobile network. The technology behind MT clearSound is located within the company’s mobile network and requires no purchase or installation of specialist equipment by the customer. 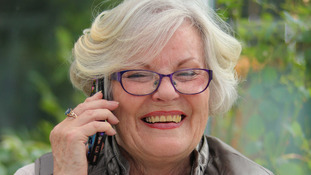 In a clinical trial carried out in 2018, 90% of the volunteers taking part agreed that speech was clearer and easier to hear when using the product. The product has been researched, trialled and developed in the Isle of Man by Manx Telecom – working in partnership with Goshawk Communications which is part of the group – and is backed by leading medical professionals. Manx Telecom Pay Monthly mobile customers will be the first in the world to use the product – it is being offered initially as a value added service at no extra cost. The technology behind MT clearSound was originally developed by Mathew Turner, founder and CEO of Goshawk Communications. Matthew’s own experiences of having hearing loss inspired him to find a solution to problems he, and many others, experienced when making mobile phone calls. In his pursuit of developing technology to solve the problem, Matthew engaged with one of the world’s leading authorities on auditory perception, Emeritus Professor Brian Moore from Cambridge University. Professor Moore developed the algorithms on which the Goshawk solution is based. He was a keynote speaker at the launch event on Wednesday, with a UK launch planned for 2019. Geraldine Willman, from Ballasalla, is one of the volunteers who took part in clinical trials which proved the effectiveness of MT clearSound. It just made it so much clearer – it really did. The nearest correlation would be putting glasses on – you put your glasses on and suddenly you can see wonderfully. It’s the same as that! Registration for MT ClearSound can be found here. There are up to 14,000 people on the Island with hearing loss, and millions around the world. Many of those struggle to do something that most of us take for granted – having the confidence to talk to people on the phone knowing they can concentrate on the conversation rather than the frustration. Goshawk's technology can make a vast improvement to the quality of calls not only for the hard of hearing, but also for every mobile user who is seeking greater call clarity. This enabling, empowering, aspect of the product is why we chose the ‘now I can’ theme to spread the word about how we can help people whether they are using the phone for social or work purposes.